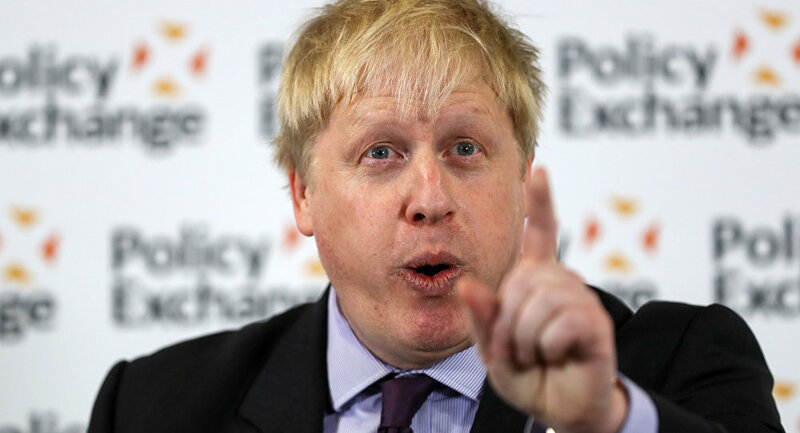 Boris Johnson has thrown his support behind a Conservative Party MP who blasted Theresa May's government a "s**t show" in a recent interview. Johnny Mercer, a former army captain and Tory MP for Plymouth blurted out the unprecedentedly mutinous remark during an interview with the parliament's ‘The House' magazine, in which he also said that if he was not a conservative MP he would not vote for the party because it is no longer in line with his values. Mr Johnson broadcast his message of solidarity with Mercer via Twitter. Mercer, 37, was once tipped as a rising star who had the potential to take the party's leadership reins in the future. However, it is more than likely that his verbal assault on miss May's government will land him on the naughty list among the party's seniority. British media is reporting widely that Mercer is likely to receive a dressing down by the government's chief whip, Julian Smith, who will likely say that any attacks on the party's performance in government will only benefit the Labour opposition, led by Jeremy Corbyn. Mercer, who fought in Afghanistan before becoming an MP, has reportedly dedicated a great deal of time to campaigning for army veterans with mental health problems. The Plymouth MP, who openly identifies as a Remainer in the Brexit debate, is no stranger to criticising the government from within. In fact, in told the parliament during an open session that Theresa May's Chequers deal was "your classic professional politician's answer" that pleases no one. The two unapologetic Brexiteers, along with prominent backbencher Jacob Rees-Mogg, have penned a joint open letter to prime minister May, in which they declare that "the Chequers plan is flawed," and that the British people will never forgive the Conservatives if Brexit is reduced to "a choreographed show of resistance followed by surrender."